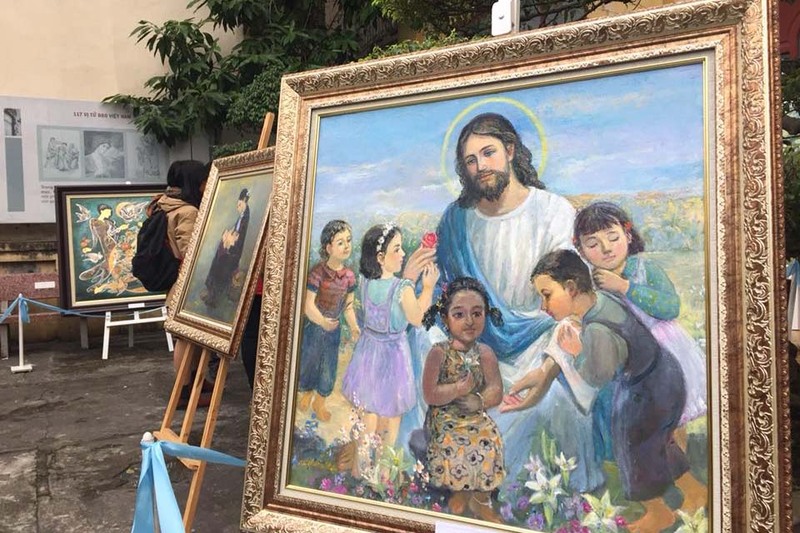 (Hanoi, Vietnam)- In commemorating 30 years’ (1988-2018) of Vietnamese Martyrs, the John Paul II federation organized a Sacred Art Gallery at the Redemptorist Church THAI-HA. 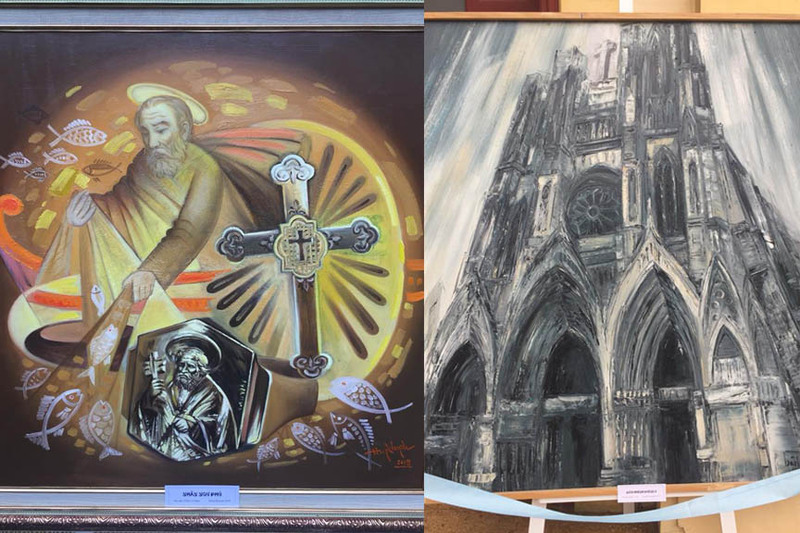 The exhibition lasted for one week from 22nd November to 30th November 2018. 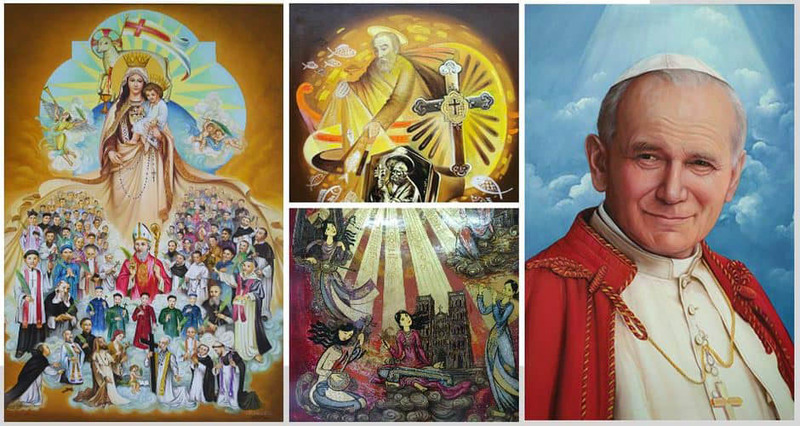 There were 36 artistic works of 16 Catholic artists and non-Catholic artists. 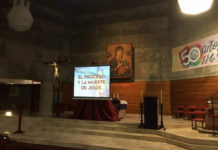 All the pictures shared the theme of Faith. 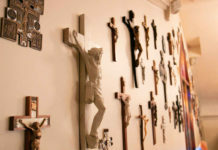 Although the time of preparation was quite short and most of the artists were non-Catholics, still they tried to contribute a variety of works in different styles and materials. 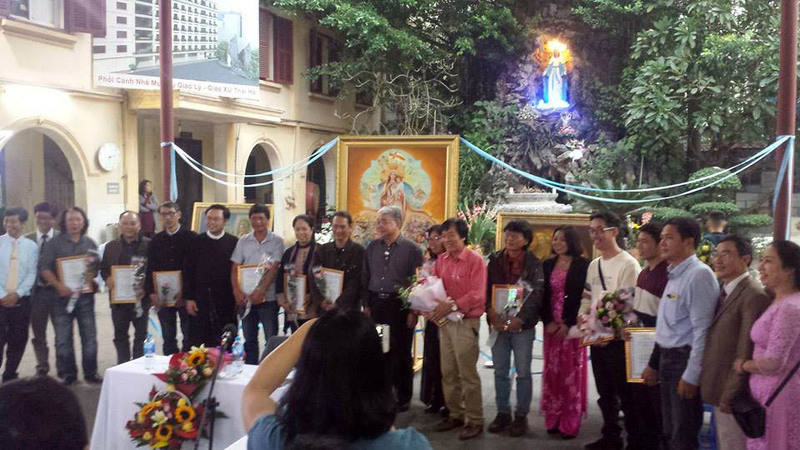 This is an effort of artists to demonstrate and promote the contributions of the Catholic Church to Vietnam culture. 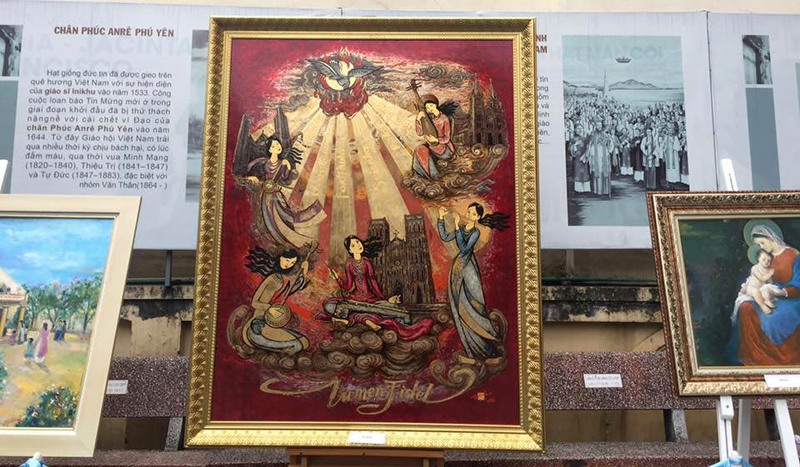 At the center of the art gallery was the oil painting “The Queen of Vietnamese Martyrs” by Dom Hung Khuynh. 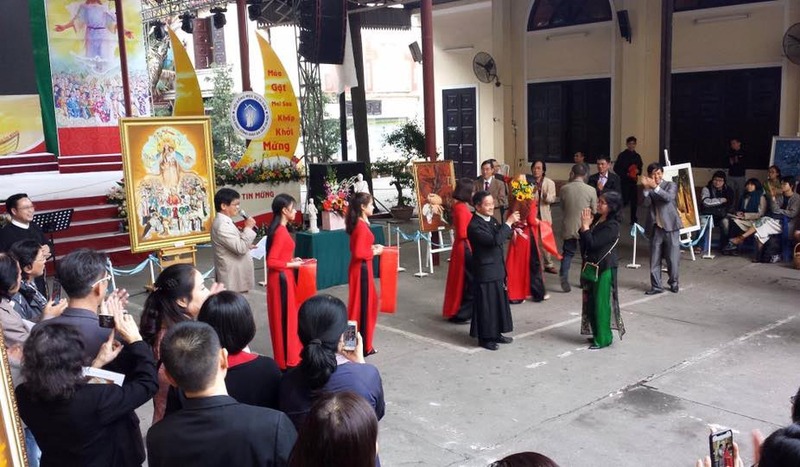 In this picture, all Vietnamese Martyrs hold the cross in their hands and their faces express the joy and courage to witness the love of God. They stand inside the mantle of Mother Mary. 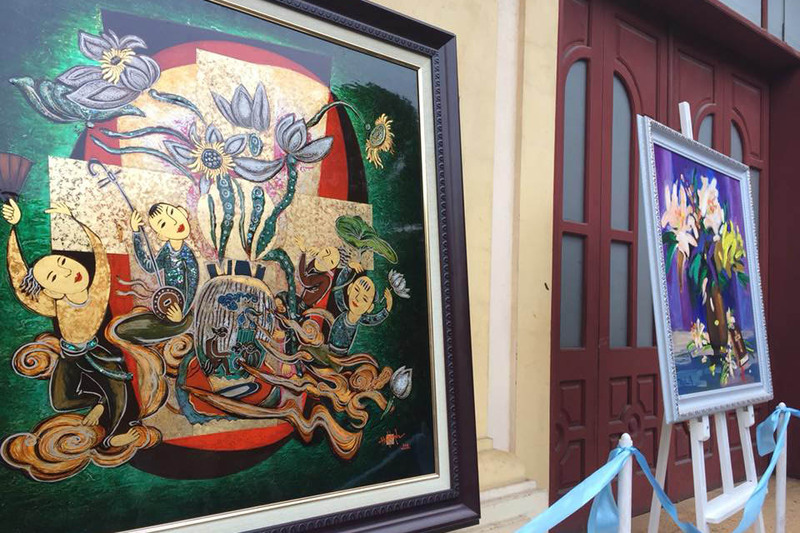 Throughout the week, many people came to contemplate the artworks. Among them were experts and art commentators. 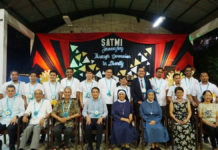 The key event was the Art conference lead by Rev. Vincent Nguyen Trung Thanh, CSsR. 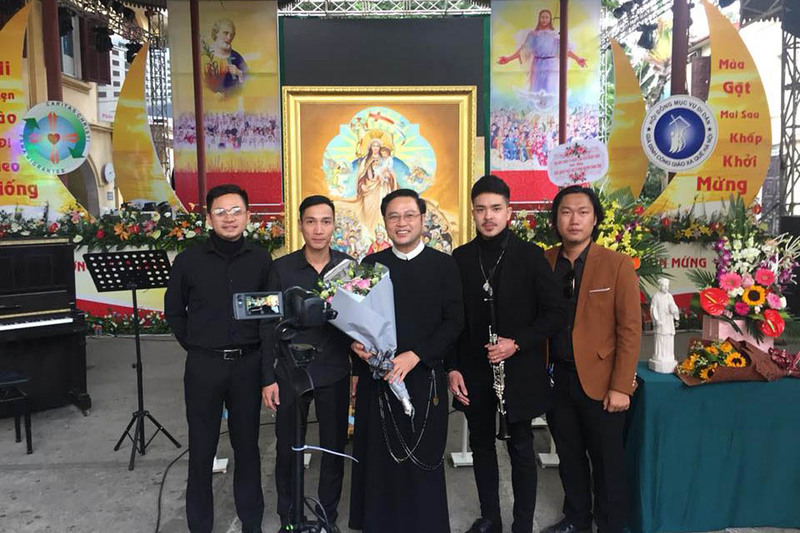 He is the secretary of the Sacred art committee of Catholic Bishops’ Conference of Vietnam. According to Rev. 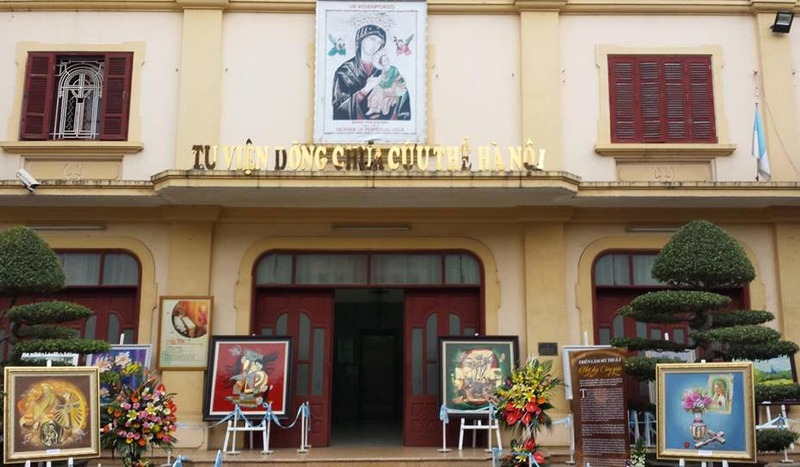 Vincent, the contributions of the Catholic Church to Vietnam Culture is still limited and the Catholic artists did not have the proper setup to contribute their talents. 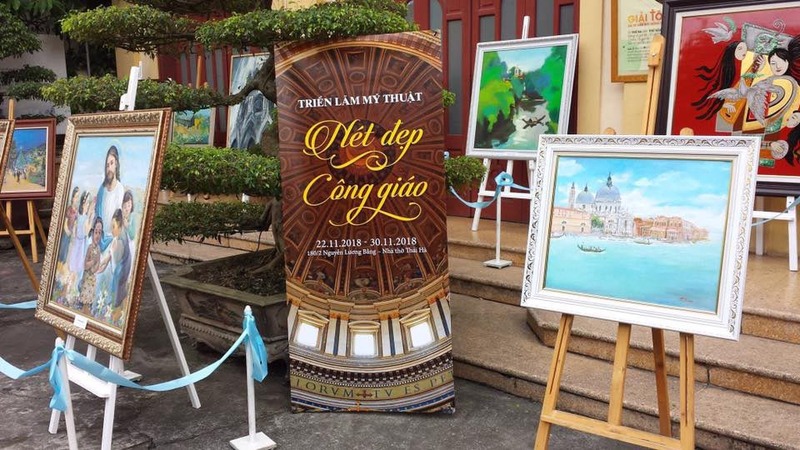 However, this was the first time ever a Catholic gallery was organized in the North of Vietnam and for sure it would become the milestone to promote the development of Sacred Art in this part of Vietnam.